Udupi, a constituency in Indian state of Karnataka houses 5 provinces, Kundapur, Kaup, Baindur, Karkala and Udupi. It’s been rightly said that it is a huge market for skilled youth & potential businessmen. Average literacy rate of Udupi in 2011 were 86.24 compared to 81.25 of 2001. If things are looked out at gender wise, male and female literacy were 91.41 and 81.58 respectively. For 2001 census, same figures stood at 88.23 and 75.19 in Udupi District. Total literate in Udupi District were 926,429 of which male and female were 465,704 and 460,725 respectively. In 2001, Udupi District had 810,584 in its district. 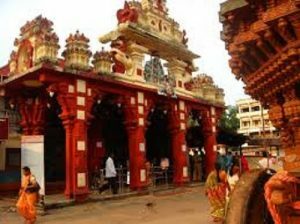 Udupi is becoming a major town in Karnataka. The poverty rate in Udupi is fairly low when compared to Bangalore and other districts of Karnataka. Udupi is the birthplace of the Syndicate Bank, Corporation Bank and Harsha Retail, the leading retailer of coastal Karnataka. Udupi’s economy also consists of agriculture and fishing. Small-scale industries like the cashew industry, and other food industries and milk cooperatives are the most prominent. Recently, Udupi is also making its mark in the real estate industry, greatly influenced by its neighboring spearhead Mangalore. Manipal, a suburb of Udupi, is home to the headquarters of Syndicate Bank. It is renowned as an education and medical hub. Kasturba Medical College and MIT (Manipal Institute of Technology) are situated here. TEBMA Shipyards Ltd is located in Malpe harbour complex. It is involved in building multipurpose platform supply vessels (MPSVs), platform supply vessel, geotechnical research vessel, dredgers and tugs for Indian as well as export markets. Udupi has a local handloom sari industry. Made of pure cotton and lightweight, the sari has art silk design on its border and pallu besides butta of art silk dotting it. Hard work, low returns, and competition from power loom has led to a drop in the number of weavers of nearly 95% over three decades. A geographical indication tag for Udupi sarees is under examination with the Geographical Indications Registry of India. The Konkan coast of Karnataka is generally known for its beautiful beaches and culinary delights made with fresh seafood. Though not as developed as State capital Bengaluru, many smaller cities and towns along Karnataka coastline have been growing steadily over the past few decades. Udupi is also well known for its local cuisine and there are now a chain of restaurants that serve ‘Udupi food’ in different parts of the country and all over the world. It is also believed that the popular masala dosa had its origins in Udupi. Udupi’s beautiful temples, beaches and local cuisine provide considerable boost to the tourism industry of Karnataka. While there are no major large-scale industries in Udupi, the town’s economy depends partly on agriculture, fishing and educational institutions. Milk cooperatives, the cashew industry and the food and hotel industry also contribute to the local economy and create jobs. Technology is also becoming mainstream in Udupi. Just last week, the District Administration, Department of Tourism and the Malpe Beach Development Committee announced that visitors to Malpe beach will get access to free Wi-Fi (for 30 minutes, per device) at 4G speeds. There are other plans in the pipeline also to further boost tourism. While driving across National Highway 66 and passing Santhekatte, on the way to Udupi, it is impossible to miss the large multi-storied corporate headquarters of Robosoft Technologies. Founded in 1996 by Rohit Bhat the company develops software products and mobile apps for Apple’s iOS devices. Going against conventional wisdom of setting up a corporate HQ in a major metro city, Robosoft has been able to thrive in Udupi by providing world-class infrastructure in a small town and also hiring locally from nearby educational institutions. Located a few kilometres from Udupi is the university town of Manipal. 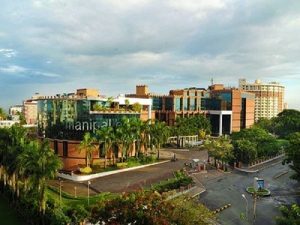 Once a barren hill with few trees, Manipal has undergone tremendous transformation to become a university town within a few decades, with over 22 institutions. Dr T.M.A. Pai was the proponent behind this change. He founded India’s first private medical school Kasturba Medical College in Manipal in 1953 and then set up Manipal Institute of Technology, five years later. With an estimated population of over 20,000 students across various disciplines, Manipal provides a big opportunity for them to work together and develop new and innovative technologies. To facilitate the same, Manipal University had set up a business incubator – MUTBI to provide the necessary infrastructure, financial aid and other resources to students and faculty who wished to start their own businesses. The university town was in the limelight two years ago, when its alumni Satya Nadella and Rajeev Suri were named the CEOs of Microsoft and Nokia respectively. Another alumnus from Manipal that has also gone on to achieve great success is Michelin-starred Indian chef, restaurateur and Founder of ‘Junoon’, Vikas Khanna, an alumnus of Manipal’s Welcomgroup Graduate School of Hotel Administration (WGSHA). There has not been large-scale generation of employment in Udupi district despite big industries setting shop here. Thus instead of generating jobs, these industries only created problems pollution-related problems. This was affecting the environment. There were not many job opportunities in the district. This had resulted in the youth going to other places and other countries in search of jobs. The district had many tourist spots and there was a lot of scope for tourism development. It is possible to create more jobs by in tourism than in agriculture. It’s necessary to find out ways and means to stop the migration of youth to other places and create jobs. The district does not lack in resources. In fact it was ahead in sectors such as hospitality industry, banking and education. It was incumbent upon local bodies to stop illegal water connections, leaking of property tax and ensure proper utilisation of funds. The district is on top in healthcare and education sectors in the country but there was shortage of labour in the district and employment generation is a problem. The people of the district are dependent on money sent from other places or countries. Udupi has shown that it is possible to achieve global successes even though it may not have the best infrastructure but it has its own merits in other ways. But while the success of outliers boosts the confidence of the general population it is important to provide sufficient assistance so that more success stories can emerge from the smaller towns and cities of India. Unemployment news make headlines on a daily basis. Despite having a commendable literacy rate and a population of youth with great potential, why is Udupi still lagging behind in terms of start ups, entrepreneurs and businessmen. Since it has been proven that there no talent shortage in this part of the nation, then the only thing lacking is a vision of people living here and the people managing their livelihoods. Good employment opportunities, financial assistance, banking facilities and start up promotion can soon stop the Hunt of CEOs in Udupi.